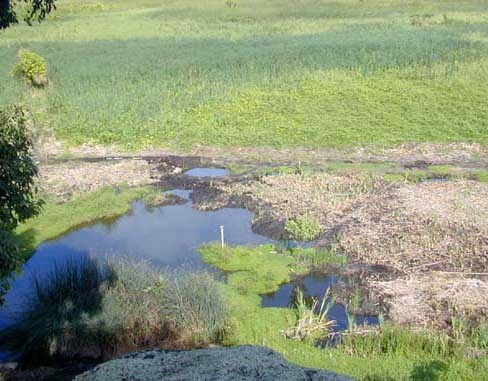 This page illustrates the progress made creating Pond B at Nā Pōhaku o Hauwahine by clearing vegetation and digging out layers of peat beneath. Understand that because of different scales and perspectives, the comparative sizes of the pond at each point in time cannot be easily discerned. 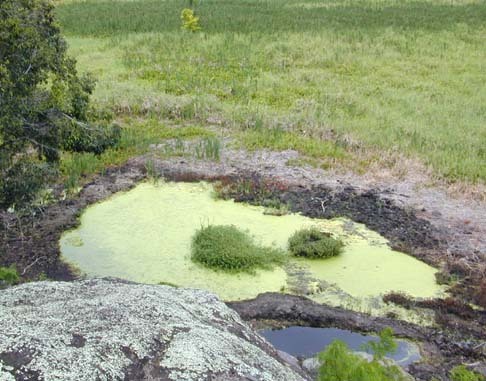 Pond B is shown covered with duckweed. 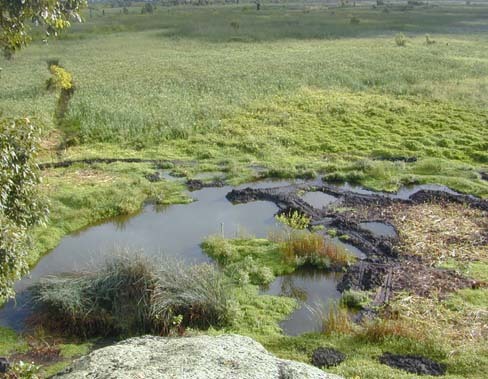 The central islet later becomes a dense stand of bulrush. 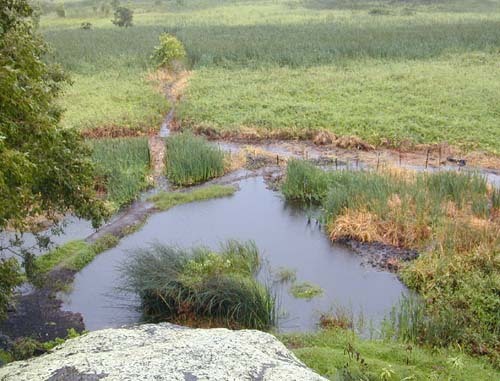 An access levee is just taking shape along the bottom edge of the pond. Photographed just after a storm: showing a higher than normal water level, but level not known. Note on left that Pond A is now started and a finished access levee separates them. Water level at ~2.9 ft (corrected). Staff gage (pole) approximately marks the location of the shoreline in the previous November (photograph above right). This recent photograph of the pond shows the substantial progress made since November 2002. Water level at this time was still ~2.9 ft.